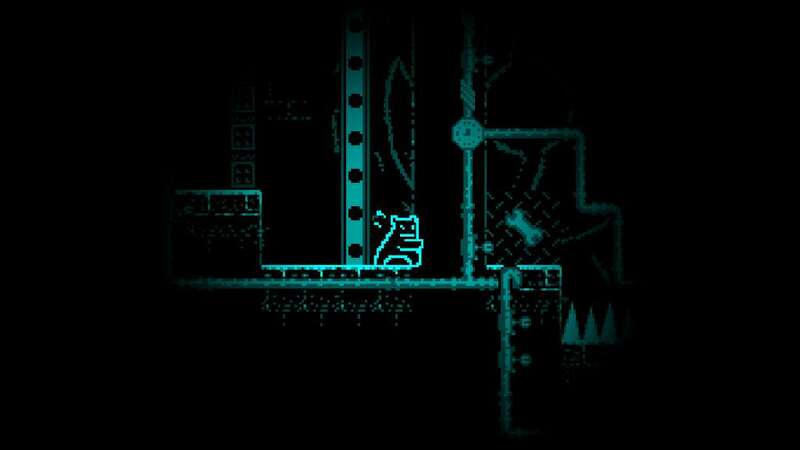 Ghost in the Machine is about the player's escape from a run-down factory following a large explosion. In the dark factory there are many dangerous machines that must be minded in order to not be crushed or mechanically separated. 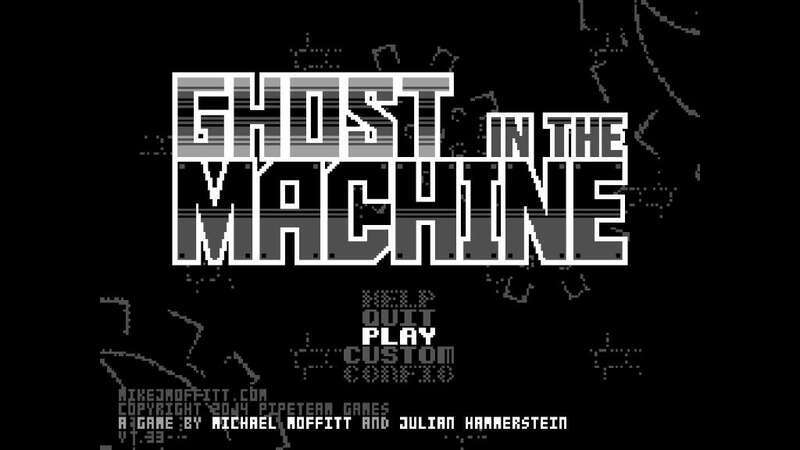 Inspired by 1980s platformer-genre games, Ghost in the Machine features true low-res graphics and an original chiptune soundtrack. It is also difficult, yet rewarding. The game is simple - you can walk left and right, and jump. Only one button! Avoid the traps, don't get wrecked, get to the end. 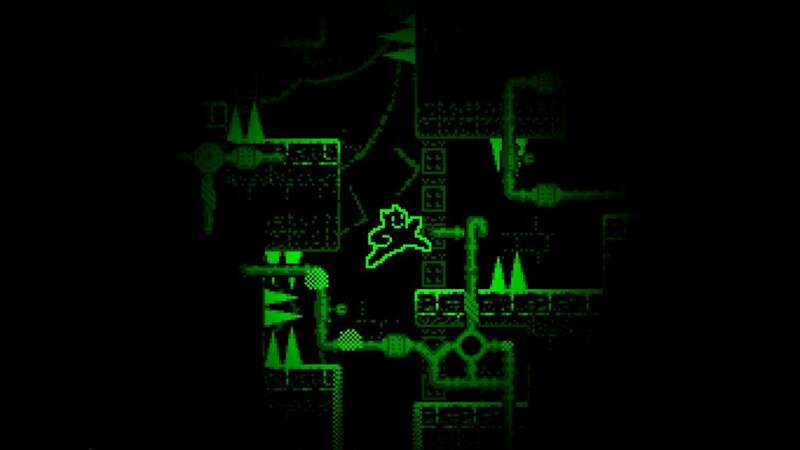 The challenging levels are filled with puzzles and tricky hazards. 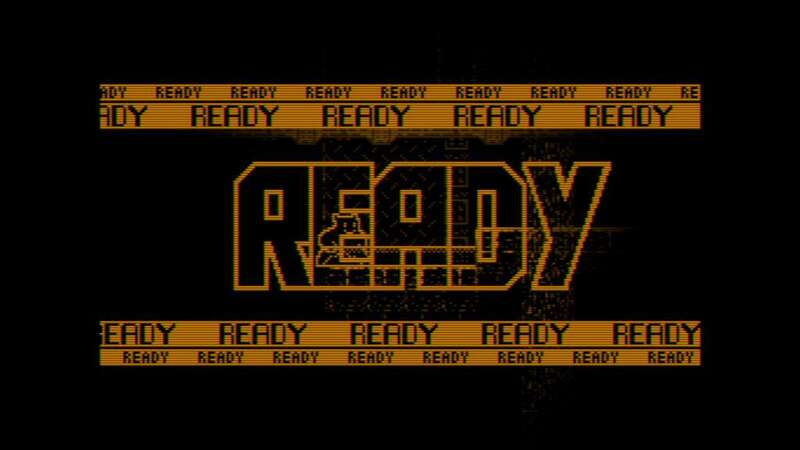 Each level also has a secret collectible item that will reveal a shred of information about how the player got stuck in the factory in the first place, as well as unlock a secret or two. A level editor is built in to the game so you can create levels to share with your friends. 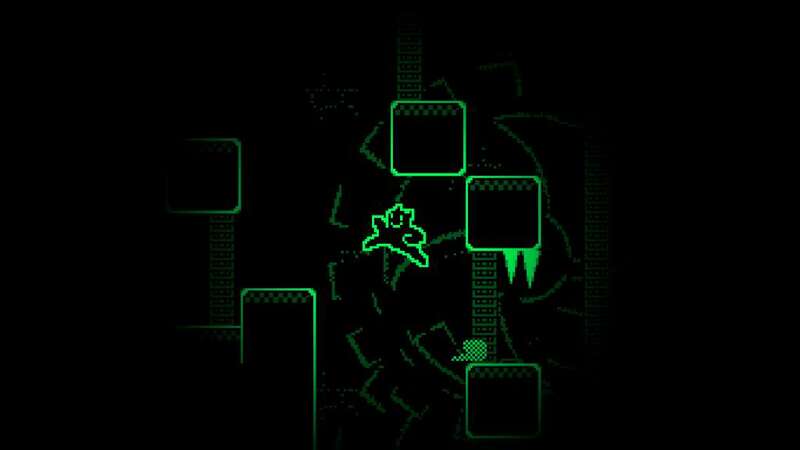 The controls are tight, giving the player direct movement control at all times. Jumps are precise, important for situations where timing is essential. Both keyboard and USB game pads are supported, and the game only needs a single button. The game is easy to learn (even for a child), but challenging to master (even for an adult). 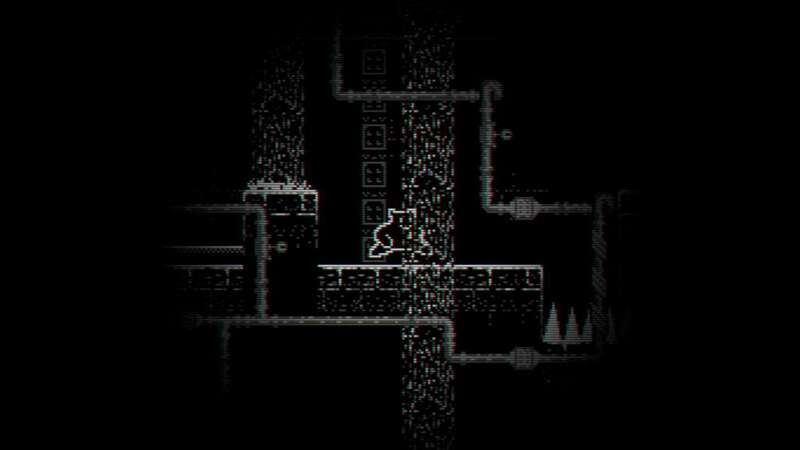 Levels are played in a semi-linear fashion so players won't get stuck on just one level that they haven't figured out yet.